"It’s such a soft bib thanks to the quilted material. It’s so easy to attach to our Babybjorn One. It’s great to know Oliver has something soft to dribble on." "It looks great on the carrier & I can see it being a real staple for us. It’s really easy to whip off the carrier and throw in the wash too - winner." 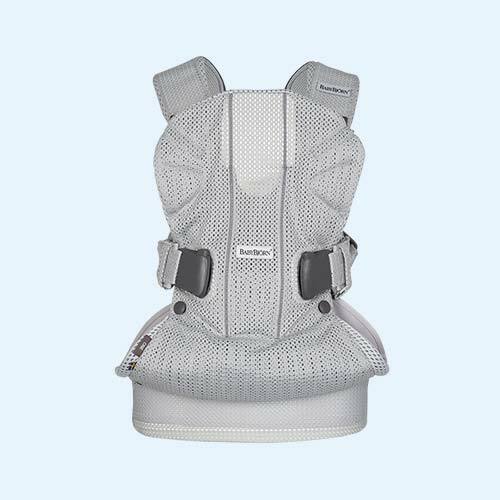 "This teething bib is suitable for use with the 2018 version of the Carrier One. Made from soft, absorbent fabric, it's safe for teething and keeps your carrier clean." Soothe baby's gums and keep your carrier dry with the The BabyBjorn Carrier One Teething Bib. Made from Tencel, a soft and sustainable plant fibre, this bib is safe for them to chew. 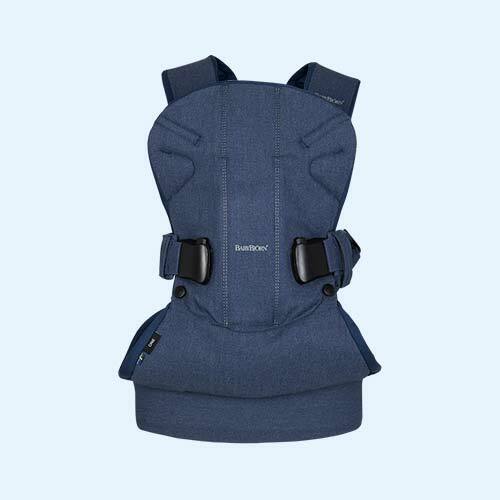 The absorbent, waterproof lining acts as a moisture barrier and keeps the upper part and shoulder straps of your baby carrier dry and clean. Easy to attach, it can be left on while you adjust the carrier too.